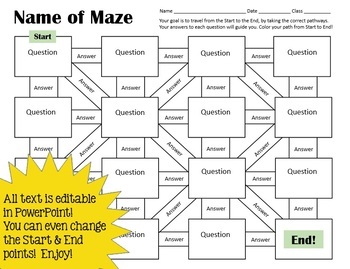 Editable Maze Template for Personal Use - Any Subject Area! 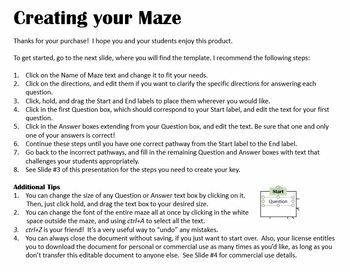 This 4x4 maze template can be used to make your own mazes for personal classroom use! All text is editable! You can change the title, the directions, the start and end points, and the text for every question and answer. 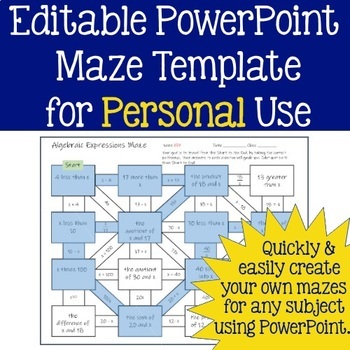 This item is easy to use, and you can create educational mazes for any subject area. You can print your maze for student use. 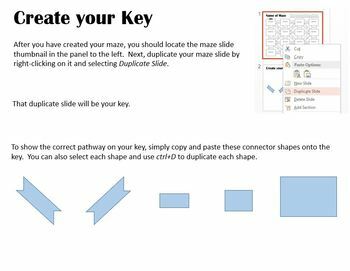 I have included directions on how to edit the maze and how to create your own key for easy grading. Here is a free example of a finished product that was created using this template. Please note, you need PowerPoint to edit this product.